One FC737 power bar with two electrical outlets and one USB port mounted on desk top. One locking file drawer with pendaflex letter/legal filing system. Other products shown in image are Kendrick Hutch & Kendrick Return. These are sold separately. 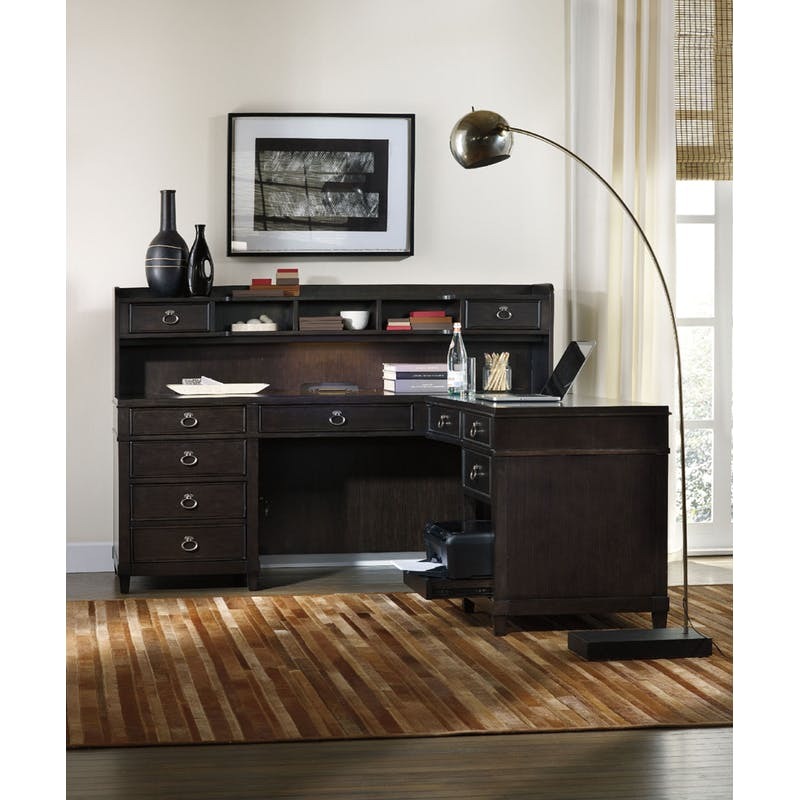 Click here to receive email quote for L Desk N item.